The D OE laboratory I work for recently published some promising results of one of our fuel cell experiments. Researchers with the Department of Energy’s SLAC National Accelerator Laboratory and the University of Houston recently found a way to get platinum to be more conductive. It doesn’t sound like much, but this is big for fuel cell technology. Anders Nilsson, one of the scientists involved explained that although fuel cell technology has been around for the past 100 years or so, it hasn’t been able to make any strides in the technology. First, a little background on fuel cells. Fuel cells are the way we create energy from hydrogen. A fuel cell creates electricity from a chemical reaction involving oxygen and hydrogen. One of the most exciting things about fuel cell technology is that the only byproducts are two hydrogen atoms and one oxygen atom, also known as water! 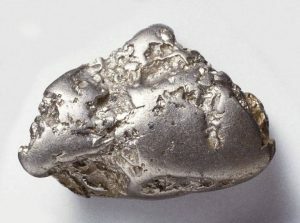 Platinum is currently the best catalyst we have to use with fuel cells. However if you’ve looked at the price of platinum recently, you know that the costs can be astounding for even just a plain platinum ring. Many researchers have looked for ways around using a commodity as high priced as platinum for fuel cells. In 2008, researchers at Wuhan University in China found a way to bypass the platinum catalyst used in most fuel cells. They used a nickel anode and a silver cathode, and a powerful polymer membrane that can withstand the harshly acidic environment of the fuel cell. This acidic environment is the main reason that the high-cost precious metals are necessary in the first place. This polymer membrane has not yet proved to be even close in performance to platinum, but has proven that the idea itself has potential. The results from SLAC’s experiment with platinum have been more promising since they were able to cut down the amount of platinum required by 80%. They accomplished this by improving platinum’s reactivity. Using SLAC’s x-ray beam, Peter Strasser and his team were able to view the structure of the platinum. After this they were able to manipulate the atoms and found that, by pushing the atoms closer together, they were able to change the bonds between atoms. This has the effect of weakening the bond to oxygen, which increases the reactivity of the platinum. While there are still leaps and bounds to go in fuel cell technology, this breakthrough with platinum brings us one step closer to a real alternative to oil. Clean, sustainable, and cheap fuel is still yet to become a reality. While we struggle to find a real alternative to gasoline it becomes clearer and clearer that the technology is just not yet there. Researchers feel that they are closer than ever to a breakthrough, but until then you should try adopting another strategy. Bike to work, or try a rideshare. When searching for jobs, try staying close to home and remember that an increase in salary far away is sometimes eaten up in the gas required to get there. So until that breakthrough that allows us all to run our cars on hydrogen, try another way to curb your emissions and live a more sustainable lifestyle. Its help to my home work. F U go gas guzlers down wit the enviornmant!! !